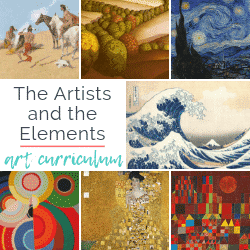 While lots of fall crafts center around jack-o-lanterns and witches these fall art projects focus on the amazing beauty that fall offers up to us artists. 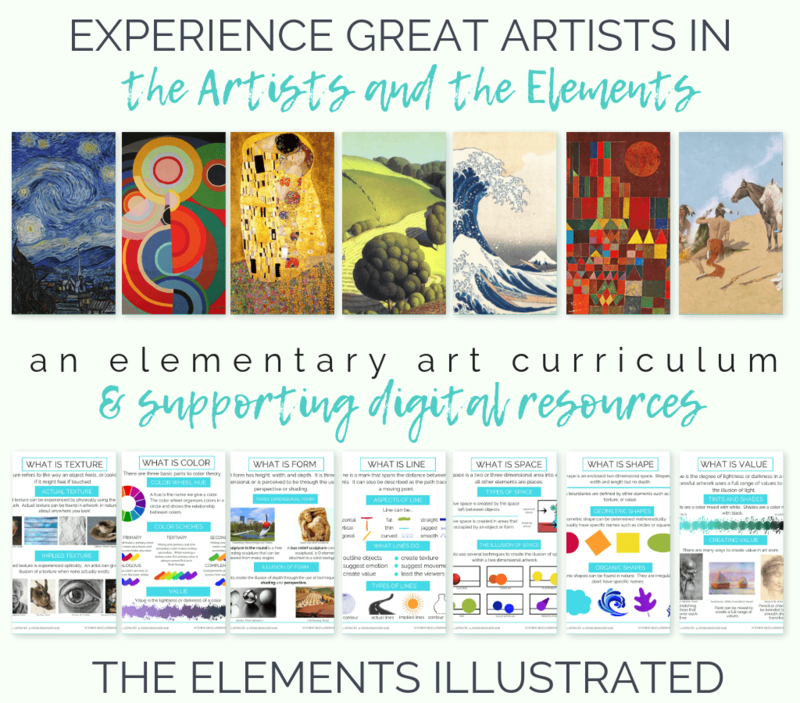 All of these projects use the shapes and color of nature as inspiration for art. In Ohio we become especially grateful for all the beautiful leaves this time of year because soon enough- we know they’ll be gone! So go grab some leaves and a few basic art supplies and you’re ready to rock and roll. 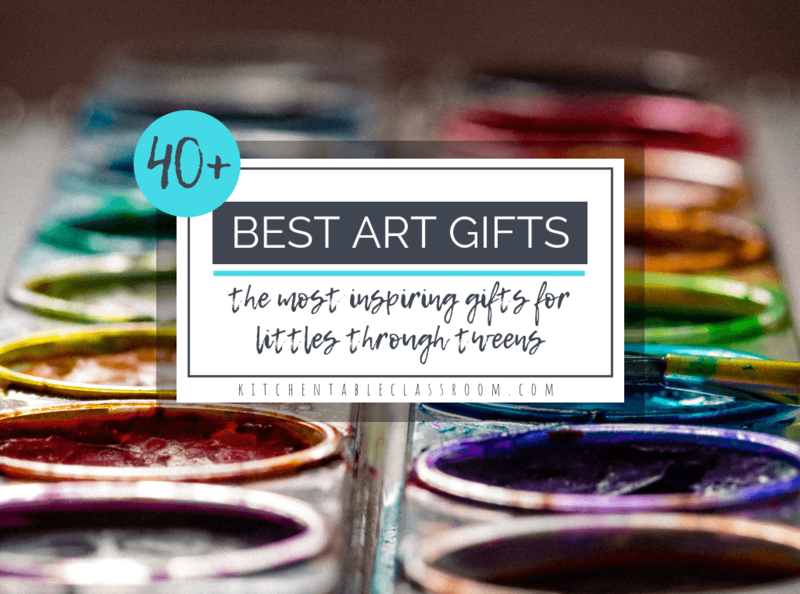 Let’s make some art as beautiful as the season ahead! A mandal is a circular design that radiates out from the center. These tiny leaf prints done with old fashioned dry watercolor paint lend themselves perfectly to creating a larger design. Whether you choose a radial mandala shape or print every which way these watercolor leaf prints are a hit. Read the entire nature mandala post here and get started ! Did you know you can make awesome prints from the ink of plain old washable markers? It’s so easy and the prints turn out amazingly detailed. This is one of those fall crafts that’s great for the days when you don’t feel up to dragging out the paint. All you need are washable markers and leaves! Read the entire post on magic marker leaf prints here. These leaf prints work best on thinner, copy weight paper. That makes them perfect for decorating envelopes, stationary, or journaling! Check out how we use this same easy printmaking process on Styrofoam plates here! Maybe I’m the only one but I feel like I did this activity every year as a kid. 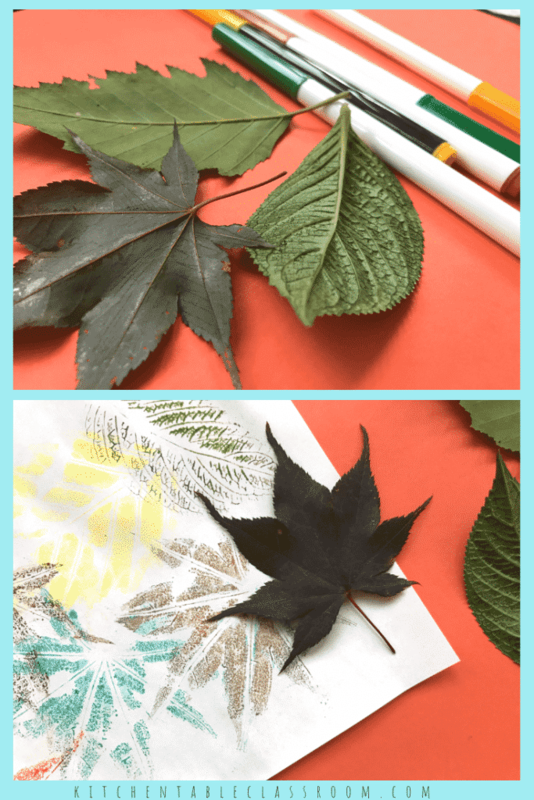 Put the leaf under the paper and rub a crayon over it to reveal the texture of the leaf underneath. While this activity has its place it is a bit predictable. To get the effect below we switched out the colorful crayons of my childhood for a plain white crayon and covered it all in a watercolor wash. This is such a quick and easy activity with such “wow” results. Your kids will want to do this fall craft over and over again! Check out the whole leaf rubbing process here in this post! 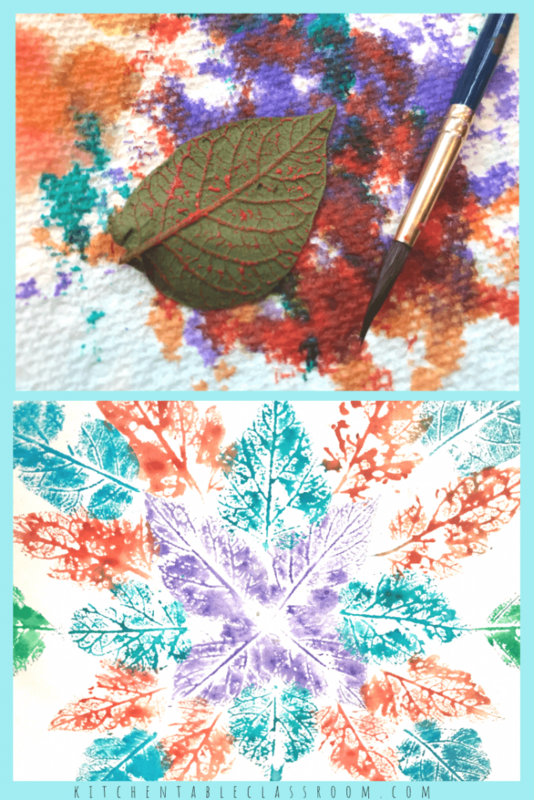 These watercolor leaf prints are deceptively simple project perfect for the fall season. Literally any age of artist can attain jaw dropping, hang it over your sofa, results with this easy process. 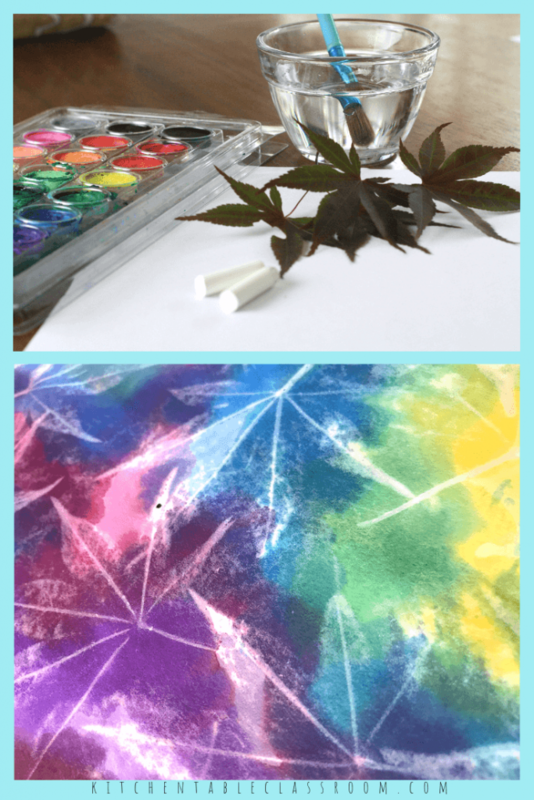 All you need are watercolors (either dry cake or liquid watercolors) and leaves. While smaller, simpler leaves were not the best for the above projects you can use anything for this one. 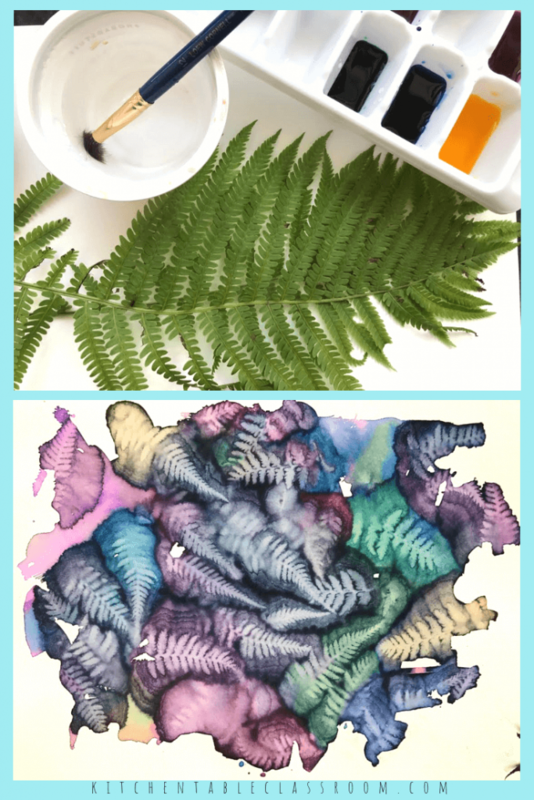 Bring on the frilly fern fronds and fancy leaves for this fall art project! Check out this post for details on these easy botanical prints! 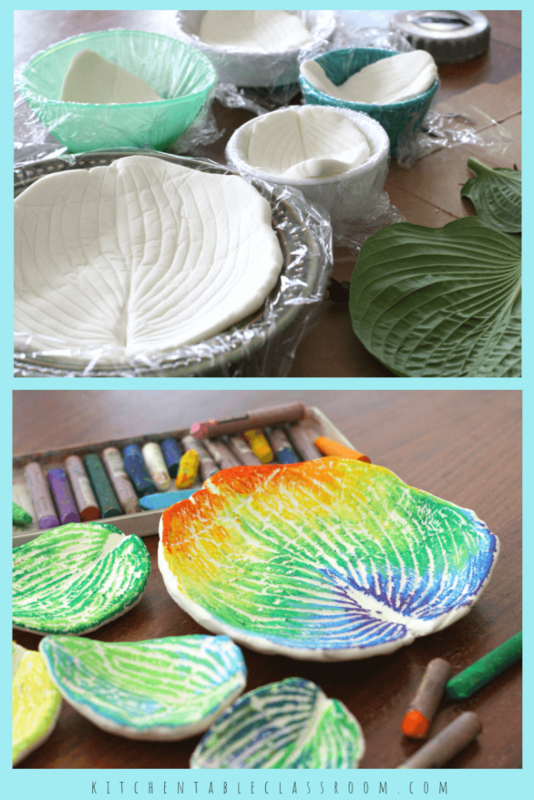 DIY air dry clay leaf bowl…. This easy DIY air dry clay recipe whips up in minutes from household supplies. Grab some leaves, big or little and help little hands make these sweet leaf bowls. This fall craft is a favorite of mine because it’s such a great sensory introduction to three dimensional art and the finished product is so much fun for the kids! They will be so proud of their special bowl! And if you’ve got clay left over these texture pendants only take a smidge of the same air dry clay and make great gifts! 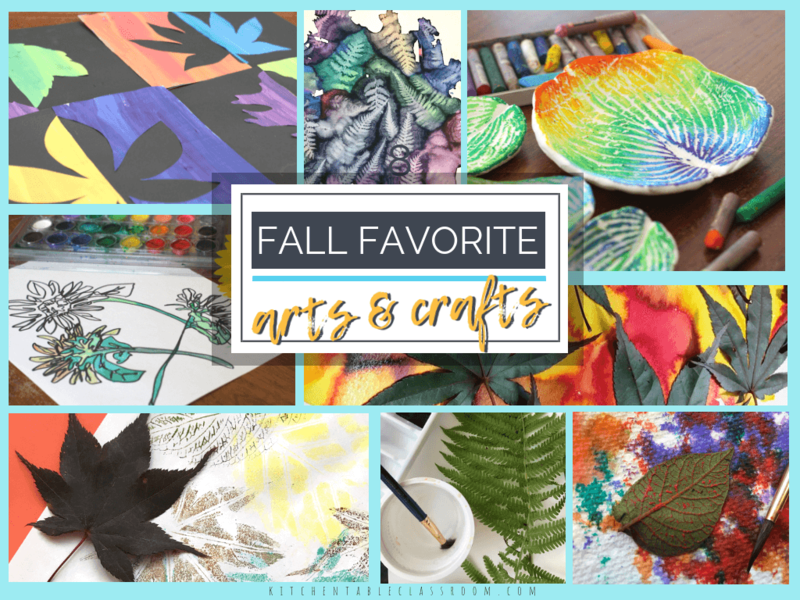 Like most of these fall art projects this notan paper cut paper leaf project isn’t specific to just fall although it is the perfect showcase for bright fall leaf shapes! 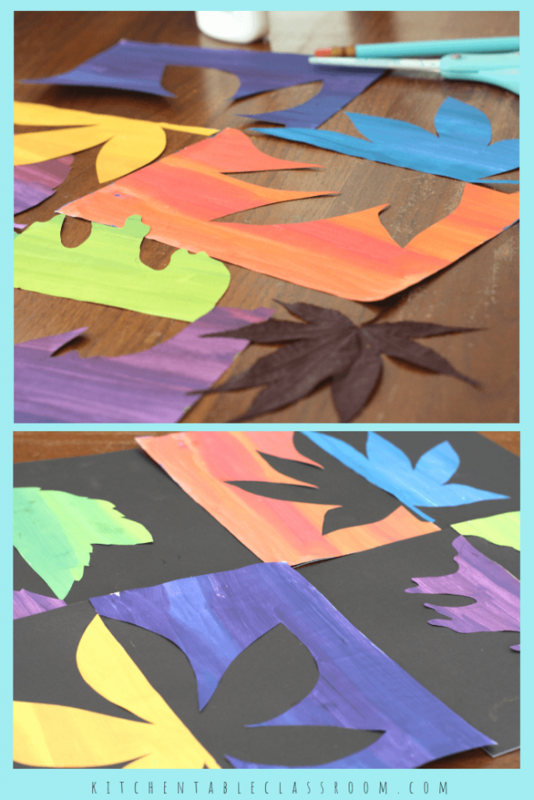 Although this fall art project could work with any simple shape I love leaves for this one because their shapes provide the perfect happy medium between interesting and simple! This project also hits on other art concepts such as positive and negative shapes and complementary color pairs. Notan is a traditional Japanese art form so this would also be a great place to include some cultural information. This quick introduction to contour drawing is an exercise that lends itself so well to the natural items so abundantly available in fall. These quick, less than five minute, drawing exercises require single items that aren’t too intricate so they allow kids to really focus on the shapes in front of them. Think of single flowers, leaves, and even plain branches. 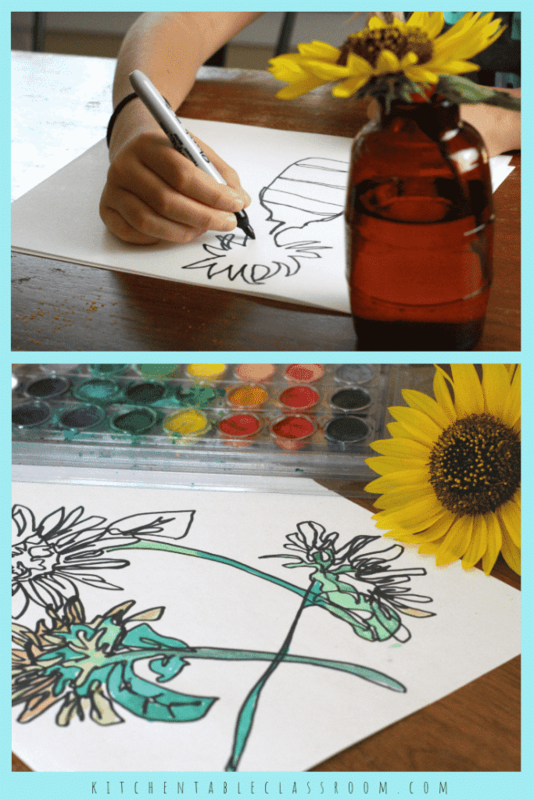 Gather up some random fall beauty and try this exercise alongside your kiddos. I guarantee giggles (and learning) will result! 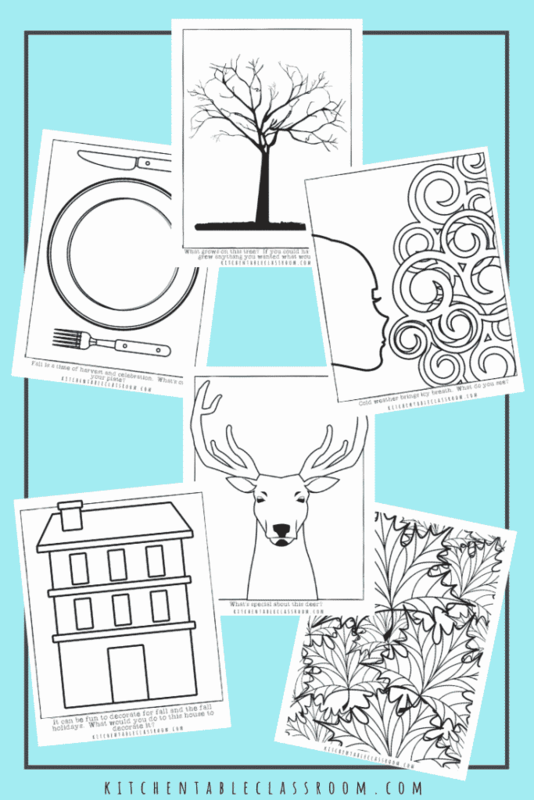 These six free printable sketchbook prompts and coloring pages are free for you, my subscribers! 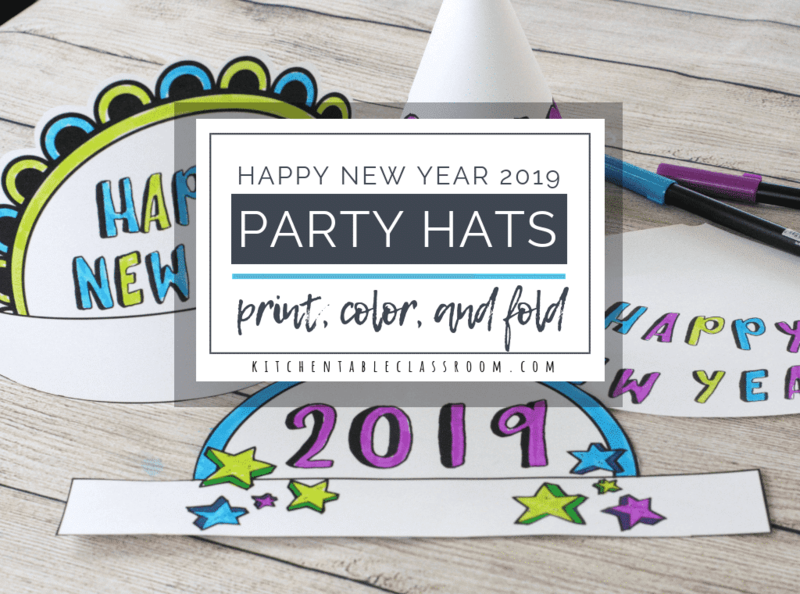 They are perfect for loosening up and getting used to making marks, cooling down at the end of class, or even fill ins for early finishers! I like to have these handy with markers, crayons and pencils available. 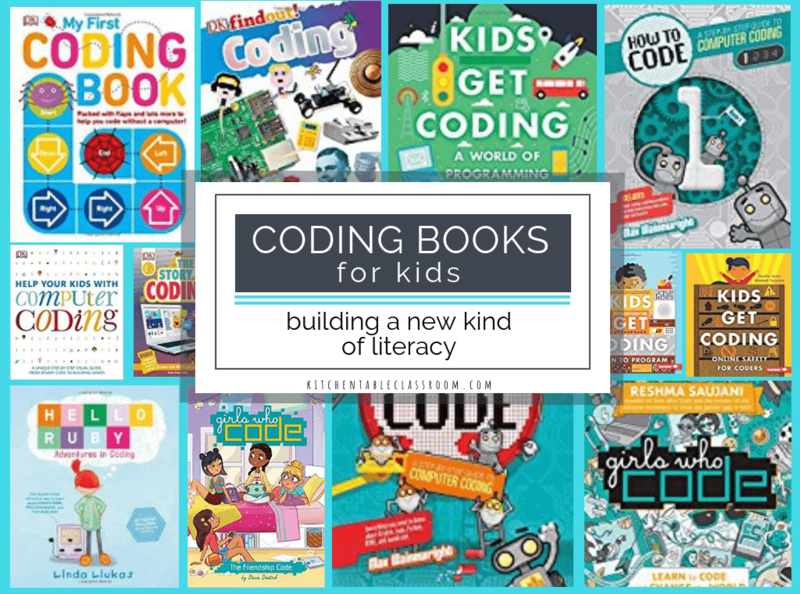 It’s so fun to see how many different takes on the same beginning kids can come up with! Want to grab these free fall sketchbook prompts…. Just use the subscribe form below. Upon confirming your subscription to my weekly email newsletter you’ll get a subscriber only password to my Free Resource Library. 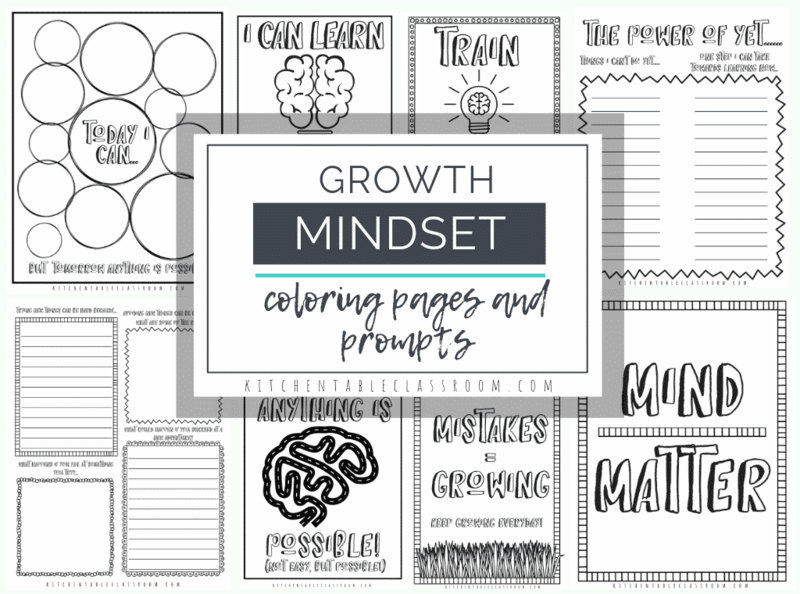 There you can grab an easy to print PDF of these six free fall sketchbook prompts plus over hundreds of other printable pages for teaching and learning! 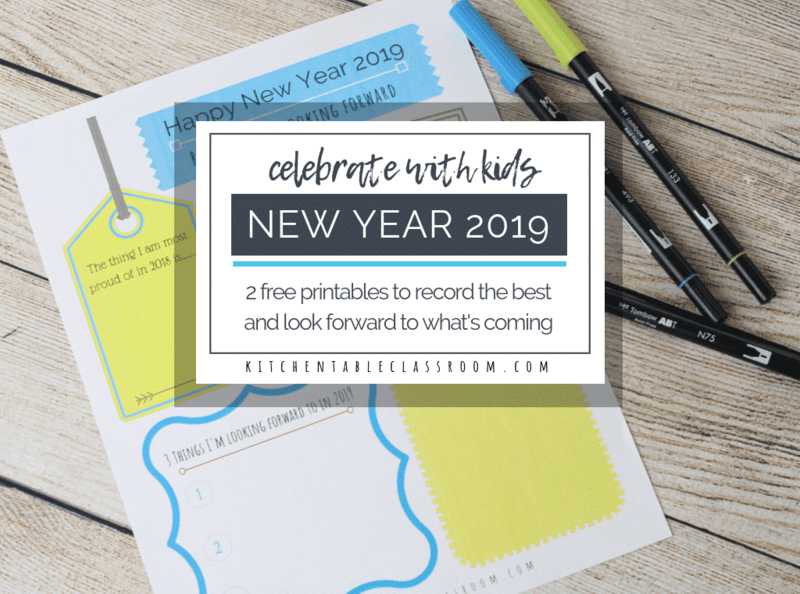 You’ll also be the first to know about my newest projects and printable resources! 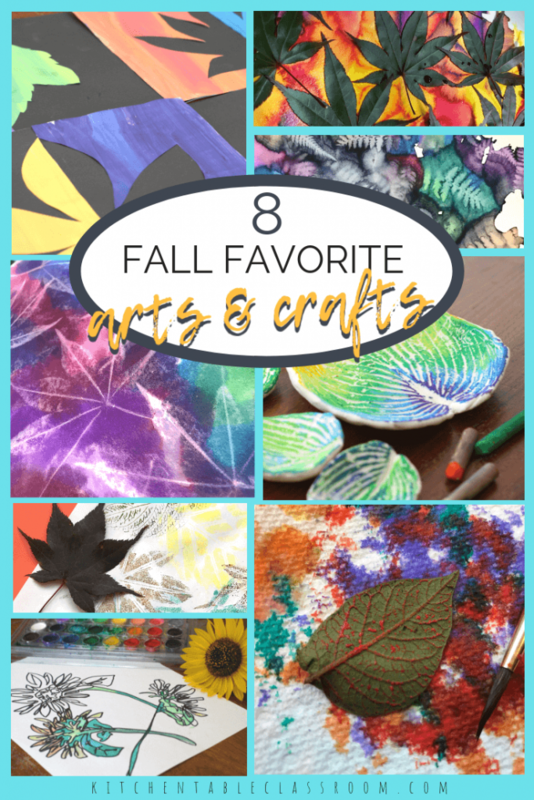 If you enjoyed these fall art projects and fall crafts please share on your favorite social media channel!